The officer charged in the fatal shooting of Daniel Hambrick stopped and searched black drivers more often than his peers, records show. Andrew Delke’s lawyer disputes the findings, saying that the officer’s tasks from superiors determined his actions. The State of Tennessee was set to execute Edmund Zagorski by lethal injection today at 7 p.m. before an appeals court stayed the decision — pending possible action by the U.S. Supreme Court. The inmate, who killed two men in the 1980s, had requested to be executed by the electric chair instead of lethal injection, but the Tennessee Department of Corrections said it was too late to change the method. The Nashville Predators (2-1-0) lost their home opener 0-3 Tuesday night to the Calgary Flames (2-1-0). They host the Winnipeg Jets () tonight at Bridgestone Arena, followed by a rematch with the the New York Islanders (2-1-0) Saturday night. A woman stabbed a friend at a popular Halloween attraction over the weekend in Madison after an employee allegedly handed her a knife, thinking it was a prop one incapable of inflicting actual injury. The victim is recovering. Metro Nashville wants your help in redesigning the Nashville.gov website by taking a short survey about how you use the site. Vanderbilt University is joining a growing movement among large employers to encourage their employees to take public transit and carpooling to work — mostly so they can stop having so many parking garages and lots. The goal is to create a “car-lite” neighborhood around campus. Speaking of reducing cars on the road, a project called Nashville Connector is recruiting people and businesses to use one form of alternative transportation the week of October 22. People gathered yesterday evening at the Arts Center at Centennial Park to hear panelists discuss how two men challenged Nashville’s segregated public pools 57 years go this past July. City leaders at the time responded by padlocking all of the city pools, including the one at Centennial Park formerly on the site where the panelists spoke. Nashville will host a Concacaf Gold Cup semifinal game at Nissan Stadium on July 3, 2019, marking the city’s second selection by the tournament. A piece of property at Riverside Village in East Nashville is up for redevelopment, prompting opposition to the move by some of its neighbors. The property is currently home to Fond Object, a record store and music venue. The Nashville Humane Society is seeking public input on addressing the state’s lax puppy mill regulations. More than 100 small designer breed dogs were rescued from horrible conditions in East Tennessee Tuesday night. The campaign trail got a little weird this week for the candidates for governor, with a state trooper divulging to the Bill Lee campaign that former Nashville mayor Karl Dean would be at a “Muslim event” at a Knoxville restaurant and the campaign allegedly asking for a picture of it. The trooper has been removed from the security detail. Professor Anita Hill will speak October 28th at Vanderbilt University giving a lecture titled “No Longer Silent: Underrepresented Narratives in Sexual Violence.” Hill was central figure in the nomination of Supreme Court Justice Clarence Thomas in 1991, alleging sexual harassment at a previous position he held. You can read the editor’s note at the top of this story, and then skip the rest of it. 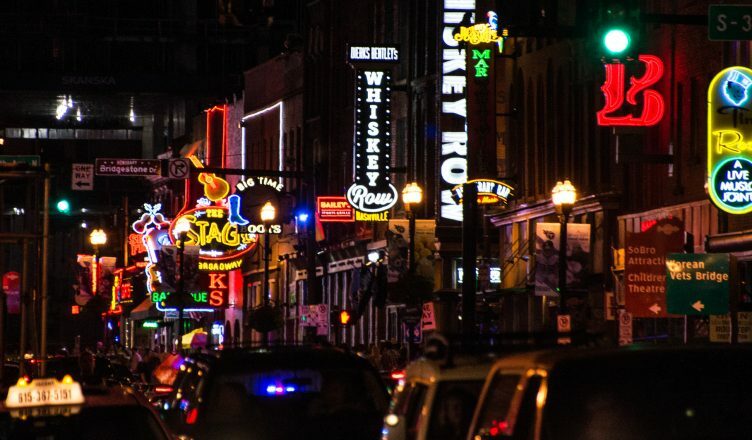 British Airways will expand their nonstop flights to London, England from Nashville International Airport next summer according to a press release by the company. The increased frequency is aimed at business travelers and tourists looking to make a long weekend in London. Photo by Michael Gaylard. Want to see your photo featured here?